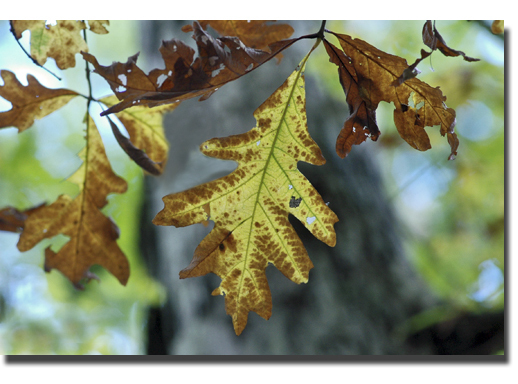 If'n I was a leaf, I would be the rusty golden gal upon the mighty oak tree. Just call me Quercus, why don't cha. The imperfections on my surface only allows more of the sun's rays to shine upon you. I command your attention by popping you on the head with one of my acorns. You'll listen to me then.